This is a really great trail. During this trip I rode the sections of this loop a total of 3 times and loved every time. 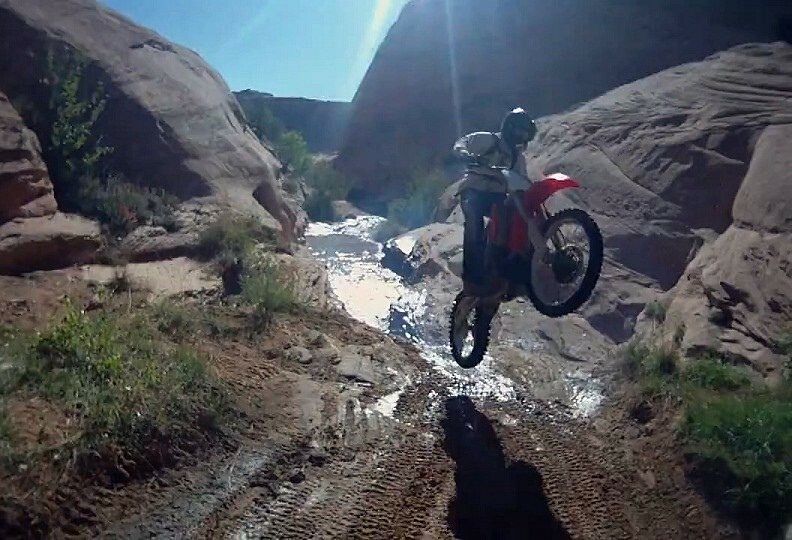 The actual loop can be ridden either direction, but going down the Tubes and up Dead Cow Wash seems to be the easier route because of the ledges in the Tubes and the deep sand hill that must be climbed out of Dead Cow Wash during high water. 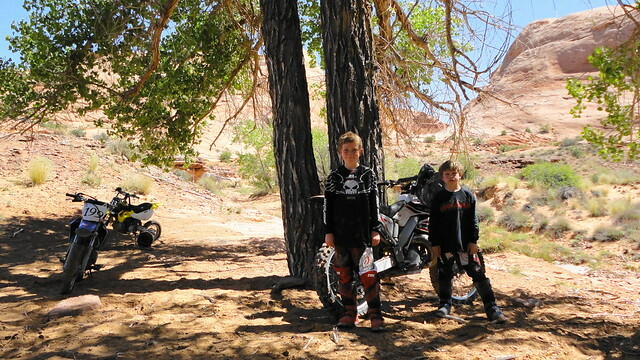 My younger boys, 9 and 11, completed the loop by going down the Tubes and down the sand climb into Dead Cow Wash with very little problems(traveling the loop in a clockwise direction). 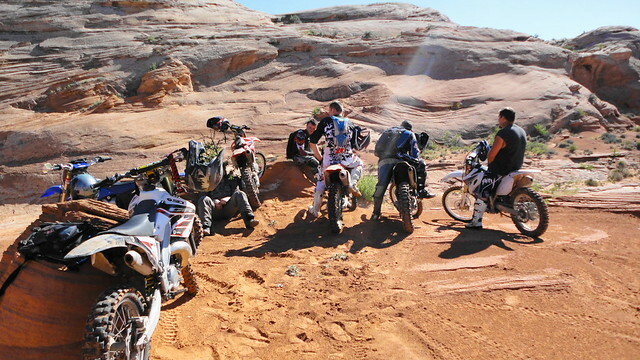 A group of us first did the trail by going down Dead Cow Wash and up the tubes. The tube section is short, so some of us went back down and up to get the full experience. The deep sand and whoops in some sections can be frustrating for younger and/or less experienced riders and the ledges can be intimidating, but this is a trail not to be missed and less experienced riders can be helped along the way if needed. The last few times I've ridden this trail we've had to use the high water route. This time we encountered deep water sooner than ever because of the high flow from upstream raising the water level into the wash. 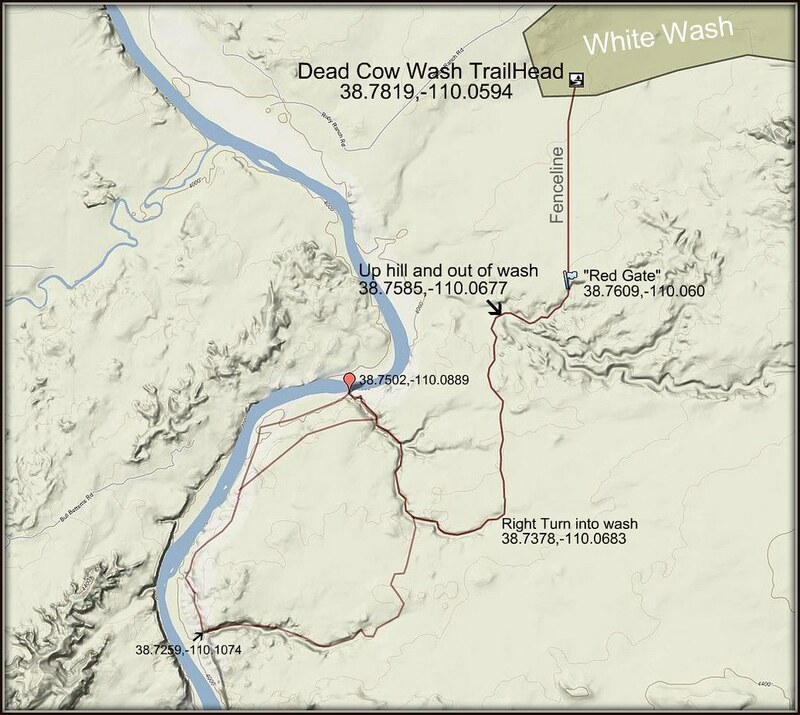 The loop from White Wash Dunes and back is around 11 miles and is shown in dark red on the map below. We had a pretty diverse group of riders that traveled this trail and everyone had a great time. The scenery includes red washes and canyons and views of the Green River. The area between the two washes near the Green River can be a nice place to stop and find some shade under a cottonwood tree. 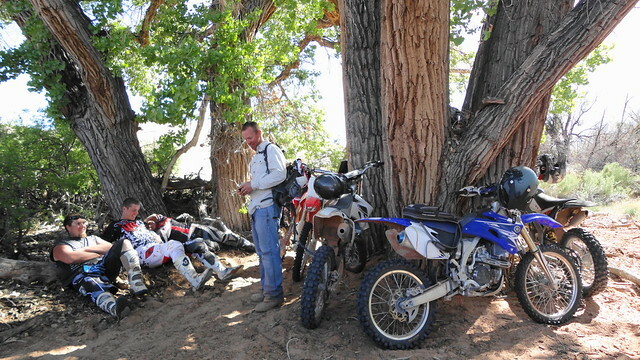 I was there on April 29th and saw a group of 6 or so guys de-watering a KTM 2T in the shade of the trees. 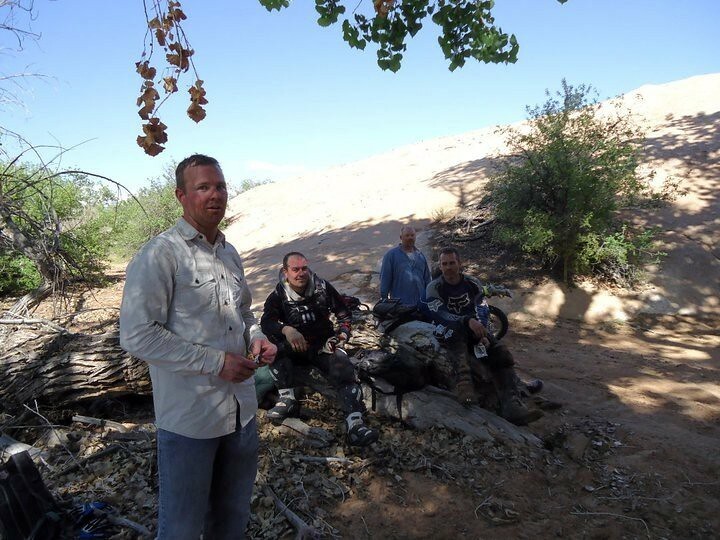 Same day, or just another group of guys that thought they would give the water route a go? I love your videos and reports, and love what you are doing out there with your kids. Thanks! :D must have been a different KTM, this was on the 14th of May, KTM 250 4-stroke. We love the family aspect of riding, it's the biggest return we get to be able to have these experiences together. Thanks for the appreciation of the site etc.! I've watched this video dozens of times. I will do this trial some day and that first song will be playing in my head the entire time. Lots of fun! Great riding and vid! Love the music. Who is it? Thanks, it was made using musicshake.